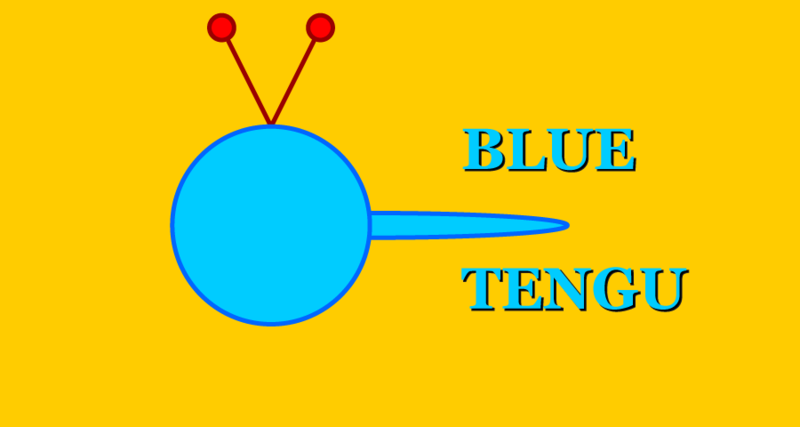 Blue Tengu is a game development studio seeking to demystify the game development process through live broadcasting of everything from concept to completion. We were founded by a game designer who has spent the last decade in the Japanese video game industry doing a little of everything from game design to scenario work, scripting, tool design, and localization. Our goal is to democratize video game development, and our dream is for everyone who has ever wanted to make a game to go and make it. Check our Twitch channel for our live show schedule or our YouTube page for past episodes. We've been doing the live game development show on Twitch every week for more than a year, and our first season's game is Project Spaghetti, a top-down 2D cowboy shooter where the bullets fired bounce around the screen with a pinball mechanic. Our undying love of the Commodore 64 inspired us to make the game using the closest approximation we could find of the system's original color palette and sprite resolution, and, although Project Spaghetti includes effects and more modern game concepts, we tried to keep the spirit of the C64 era by focusing on the primary game mechanic of bouncing bullets, while pushing players to master it in different ways to defeat the different enemies.